We have started our discussion on how strategy needs a clear vission. Also values play an important part of a company’s direction. But, shall we have a look at the Tesco case study we started? This meant increasing staff numbers by 20k over two years! But not also that. They renovated existing stores and introduced more promotions. Why did they come up with these strategies? It was driven by their core values of making customers feel wanted and respected. You may not be able or need to hire 20,000 new members of staff over the next 24 months. But how could your business potentially benefit of applying this kind of strategy? Write your answer as a comment at the end of this post. Tesco developed its own-label brands. Tesco Finest and F&F clothing are a couple of examples you may be familiar with. Quality products and competitive prices guided the positioning they were aiming for these own-label brands. What is the positioning of your brand in your market? And why do answer as you do? Write your answer as a comment at the end of this post. In 2012, its international business generated 30% of the Group’s profits. What strategies did they follow? They opened up to fifty new F&F franchise stores over the following five years in Georgia, Armenia, Azerbaijan, Kazakhstan, Middle East and Saudi Arabia. Ok. Thinking about your business. Can you find creative ways of selling outside of your habitual markets? Write your answer as a comment at the end of this post. If it was not enough with the powerful retail business, in 2012 Tesco Bank became a focal part of the potential for future growth in retail services. Think we are exagerating? ₤1 billion in revenue generated by their own bank say we are not! If you were to open a new division in your business your customers would love to be a part of, what would that be and why? Write your answer as a comment at the end of this post. In 2011 Tesco made its responsibilities to the communities central to all it does, rather than just be a part of it. This is demonstrated through its ‘Three Big Ambitions’. How is your company aware of its responsibilities to the communities? In what different ways do you promote engagement and CSR accross your own organisation? Write your answers as a comment at the end of this post. Tesco’s most important asset is its people. Why is that the case? 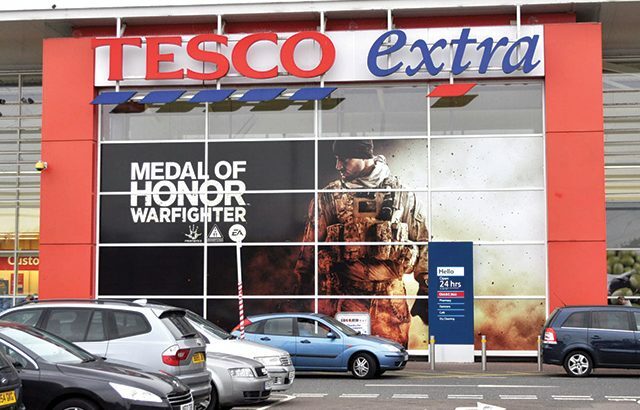 Well, they go out of their way to live by Tesco’s values and do their very best for customers. This has lead the organisation’s leaders to commit to training efective leaders in all areas within its Group. This in turn, helps the business to keep with its vision to be a highly valued, innovative growth company. Do you invest in your people? If you are an employee, does your company invest in your leadership skills? What can you do to increase commitment to training in your business? Write your answers as a comment at the end of this post. Not having all eggs in one basket. Food is Tesco’s heritage but the business continues to diversify, adding a wide range of products and services in-store and online. In how many baskets have you placed your eggs, so to speak? What efforts is your business making to diversify? Write your answers as a comment at the end of this post. Sin categoría Alicante, AlicanteBilingüe, aprender inglés, aprender inglés rápido, Barcelona, BarcelonaBilingüe, Bilbao, BilbaoBilingüe, bonificada, business, business english, business strategy, case studies, case study, clases de inglés, clases de inglés a empresas, cómo se dice en inglés, crecimiento, desarrollo profesional, desde hace cuánto en inglés, empresa, EmpresasBilingües, EspañaBilingüe, estrategia, estrategia de negocio, false friends, farther, for, formación, further, Granada, GranadaBilingüe, how long, idiomas, inglés, INGLÉS ALICANTE, inglés Barcelona, inglés Bilbao, inglés Córdoba, inglés de negocios, inglés de negocios vocabulario, inglés empresarial, inglés Granada, inglés Madrid, inglés malaga, inglés Murcia, inglés online, inglés sevilla, inglés Valencia, Madrid, málaga, MalagaBilingüe, mejor en inglés, miss en español, Murcia, MurciaBilingüe, negocio, negocios, recursos humanos, retail, Sevilla, SevillaBilingüe, since, to miss, U24Business, Valencia, video, YouTooForBusiness. permalink.